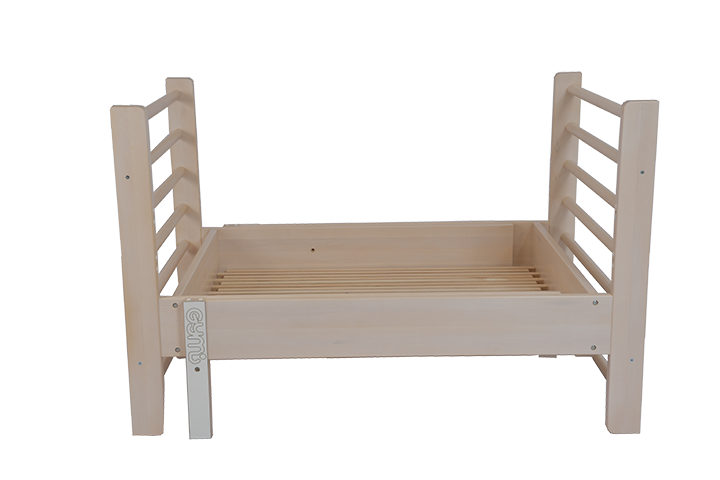 Our adjustable wallbar bed is made to last and grow with your family. 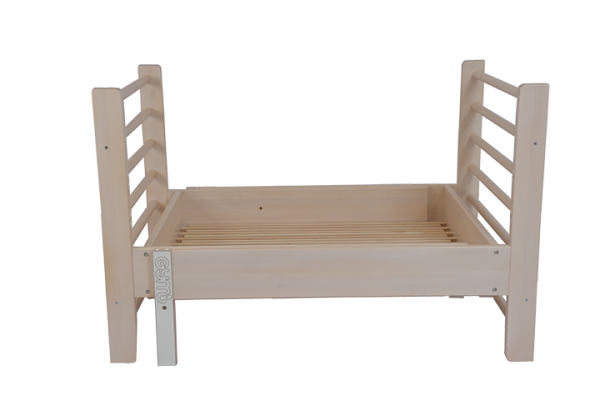 The bed is made for a good night sleep but it also makes natural movement and training of motor skills possible at home. 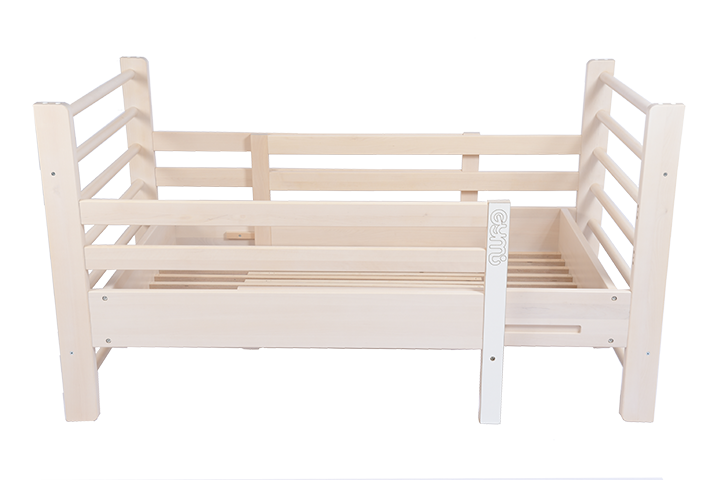 The functional bed can be adjusted according to your child’s height. 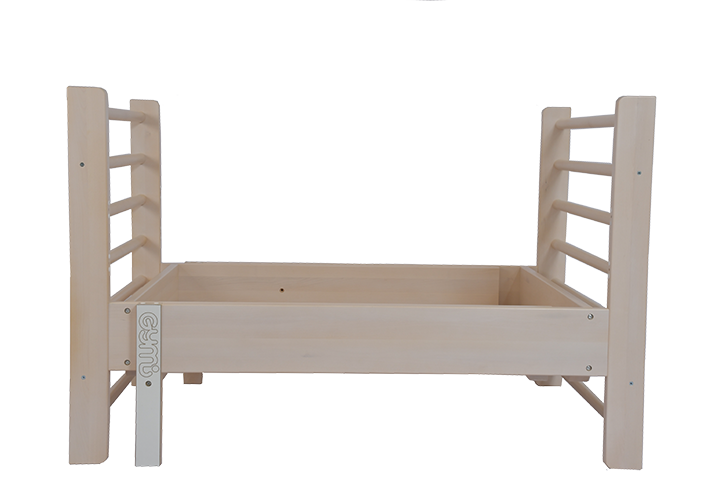 The ends of the bed serve low wallbars to which the Gymi Furniture plank, wooden horizontal bar and ladder can be attached. 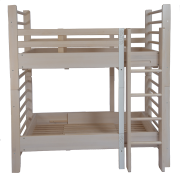 When your family grows, you can purchase one more bed (or several) and build a bunk bed. 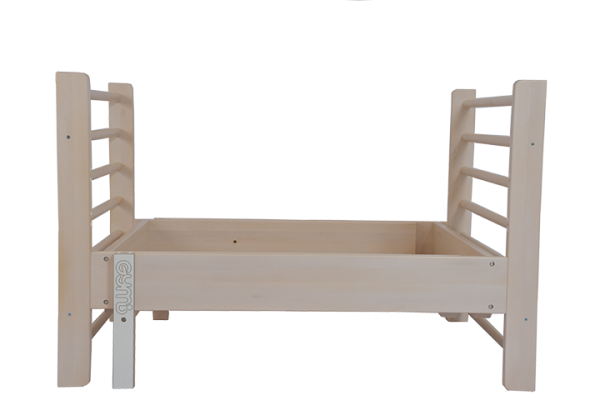 Identical beds are put on top of each other with the help of extra parts (ladder, attachment and safety rail). 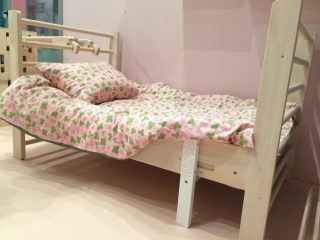 A 80 cm wide mattress fits into the bed. 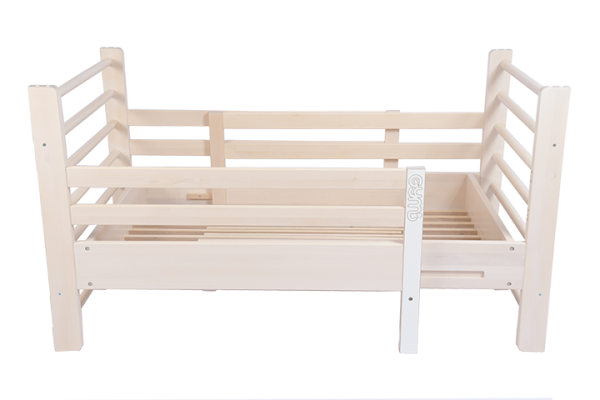 The bed is made of birch. 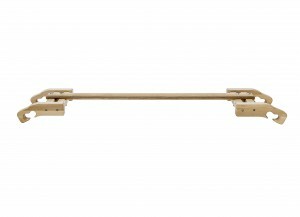 The surface of the wood is varnished white or painted white – your choice.